Touchwood’s beautifully crafted arcades join high street anchors to leisure gardens in a lovely and walkable town centre. 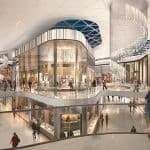 The extension to Touchwood shopping centre will add 30 new shops and restaurants to the successful town centre development. The fresh air arcades will be complimented by two new streets to link to the High Street and Churchill Road. 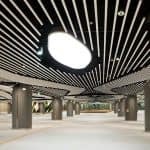 The double height shops and restaurants will include a large fashion flagship. 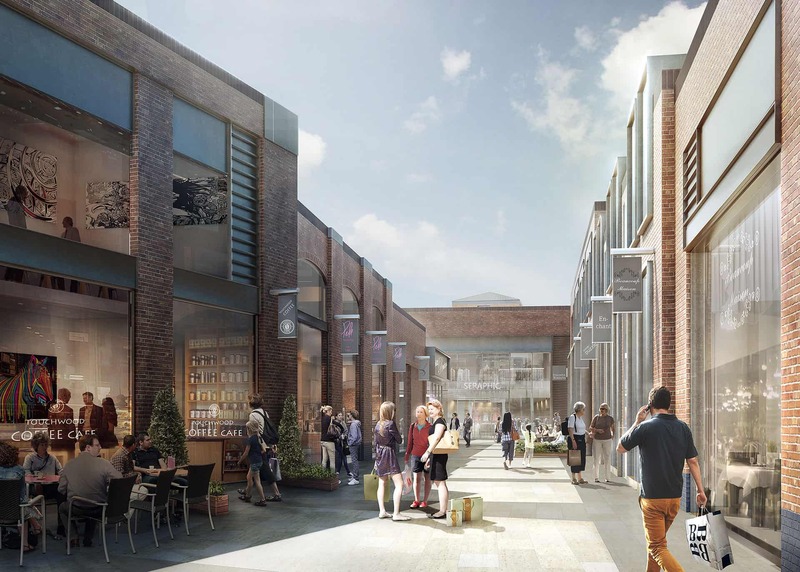 The signature materiality of Touchwood’s brick textures and detail extend into this new part of townscape. 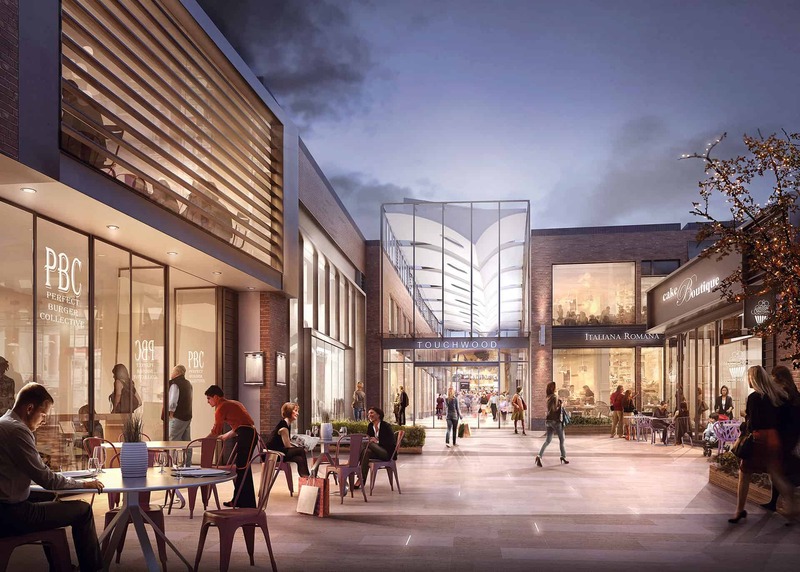 The entrance square will become a new dining quarter for the centre and for Solihull.